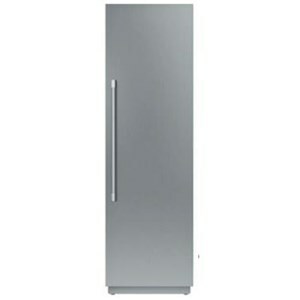 The 30”-wide Sub-Zero IT-30RID refrigerator provides a combined 16.5 cubic feet of refrigerator storage in the upper cabinet and two spacious, flexible drawers below. 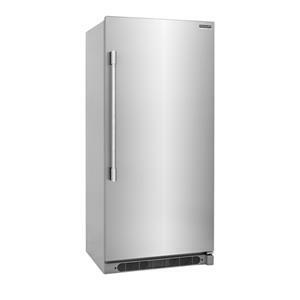 As a fully integrated refrigerator, it comes ready to be fitted with custom panels and handles for seamless installation with surrounding cabinetry (high-quality stainless steel panels and handles are available as sales accessories). In either style, a new internal water dispenser delivers the convenience of chilled, filtered water without disrupting the clean look of the refrigerator’s exterior. Like every full-size Sub-Zero Integrated refrigeration unit, the IT-30RID stands 84” tall and includes a host of features designed to extend the life of fresh food, including air purification and a patented door-seal system that efficiently locks in cold air. A high-humidity, lower-temperature crisper drawer also provides the perfect conditions for storing fresh produce. The sophisticated, updated interior takes on a crystal-like appearance with minimal use of plastic trim and the addition of bright, soft-on LED lighting. The Integrated Refrigeration 30" All Refrigerator with Internal Water Dispnser and 2 Refrigerator Drawers by Sub-Zero at Furniture and ApplianceMart in the Stevens Point, Rhinelander, Wausau, Green Bay, Wisconsin Rapids, Marshfield, East and West Madison, Wisconsin area. Product availability may vary. Contact us for the most current availability on this product. Capacity: Total 16.5 Cu. Ft.